This year’s Shake Nice! Festival is already here! Brace yourselves, because the programme is extremely interesting and diverse. Let’s take a closer look at the main programme then. A field hospital serves as the setting of a powerful and moving version of “Henry V” that has been transported to the battlefields of World War I. Close in its wake, “The Tempest” surges forward – a performance where burlesque rubs shoulders with fairy magic. The charm offensive doesn’t stop there… Tim Crouch as Malvolio reveals all to Nice audiences in his touching and funny one-man-show, “I Malvolio”. “A Misummer Night’s Dream” leaves us spellbound with its blend of song, music and wit. A passion for words unite us also in William’s Slam – a show combining Shakespeare’s text and modern-day slam. The festival ends with a flourish as Freestyle! brings students together to work on projects based on “Midsummer Night’s Dream” and “Romeo and Juliet”. Shake Nice! Festival offers its audience also a plethora of additional events, such as: Conference: SHAKESPEARE, A THEATRE FOR EVERYONE; an exhibition: “At home and around the world” as well as an outdoor performance blending theatre with circus by The Strowlers – L’Attraction theatre company. Since 2017, The Shake Nice! 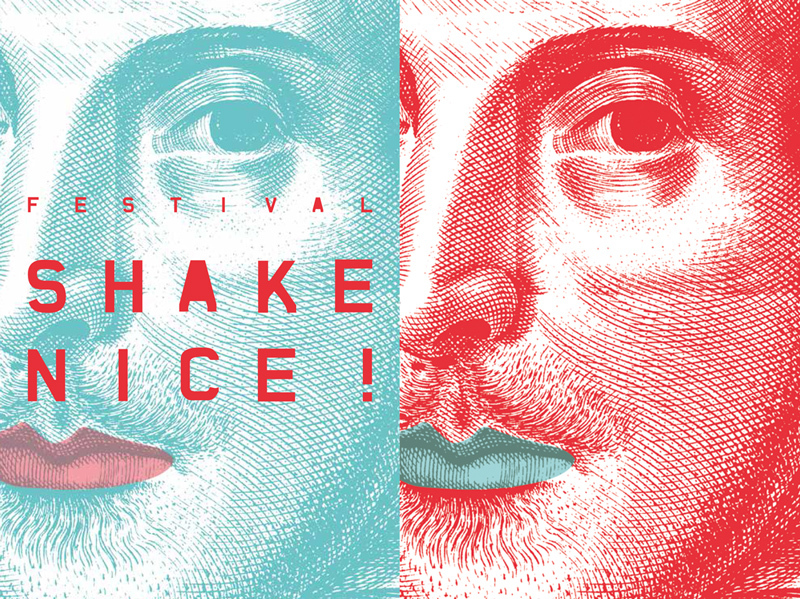 Festival has become a member of the European Shakespeare Festivals Network.